Updated: 10 a.m. | Posted 6 a.m.
As Twin Cities leaders take their strategy of fighting extremist ideology to Washington this week, they have their eye on the millions of federal dollars available for such efforts. The money would support a bold mix of expanded afterschool programs, youth sports, more Somali police officers, mentoring programs and job fairs. It's the backbone of Minnesota's pilot program to build "resilient" communities. But as a group of 15 Twin Cities leaders presents its strategy in the nation's capital, the reaction of local Muslims is wildly mixed. Although some Minneapolis nonprofits already are lining up to request the money, the pilot program is facing a backlash from some Muslim leaders. Jaylani Hussein, a Somali-American who leads the Minnesota chapter of the Council on American-Islamic Relations supports the concept. He knows how Somali-American service providers have struggled for years to obtain adequate funding. The problem, Hussein said, is the man leading the effort. He thinks U.S. Attorney Andrew Luger, who is prosecuting terrorism cases, should leave the social work and fundraising to others. "There already is a system already there, to help small nonprofit organizations to help youth," Hussein said. "Is it working for this community? No. Can we fix it? Yes. Is it right for the U.S. attorney, who's doing prosecutions, to be the one leading that? How will the community respond to that?" Some Muslims fear Luger won't be able to separate his two roles of prosecuting crimes and conducting community outreach. They say the program lacks oversight — and safeguards against surveillance of their communities. 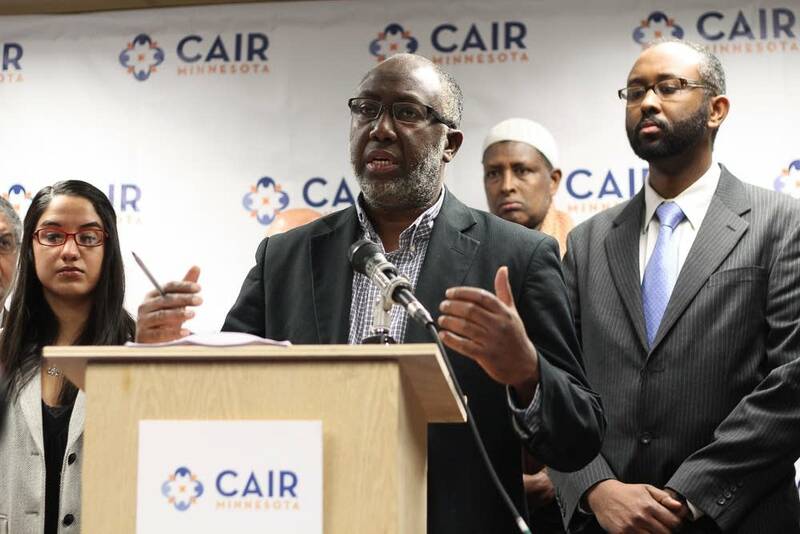 Hassan Mohamud, imam of the Minnesota Da'wah Institute in St. Paul, said he supports fostering better relations between mosques and the U.S. Attorney's office in the shared interest in keeping the community safe from terrorism. But Mohamud said he fears mosques that become part of the pilot program will fall under suspicion in the Somali-American community unless the government offers more transparency and answers tough questions about previous outreach programs. He also worries that Luger's proposal to implement community-intervention teams in schools might wrongly target Muslim students. "If my daughter made a decision to cover her face, she could be identified under a category that requires surveillance," he said. CAIR-MN is developing a task force comprising Twin Cities Muslims that will make the case for increased funding for youth programs and other services. But Luger, who has been working on his program for several months, has already used his sway to firm up financial commitments from three large foundations for his pilot program. And some Somali-American nonprofit leaders say they're ready to partner with him. 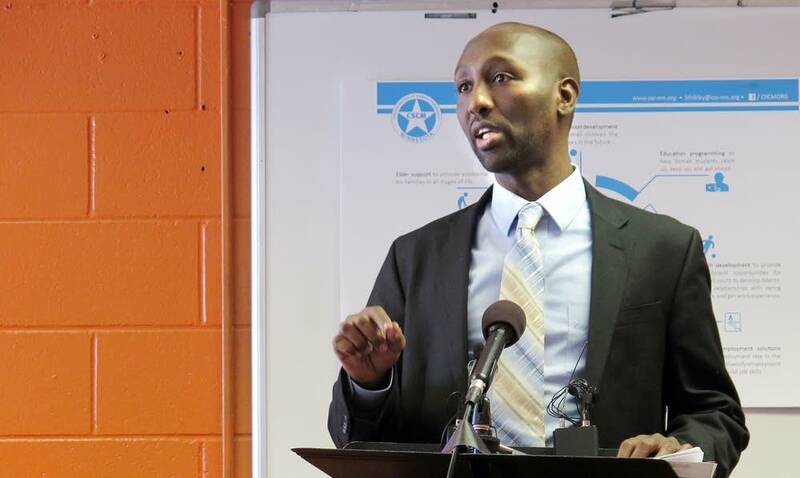 But Mohamud Noor, director of the Confederation of Somali Community in Minnesota, said he would apply for the anti-terrorism money in hopes of creating new programs assisting the Somali community. Noor said his plan would incorporate early childhood programs, job training, and restorative justice — all under one roof — if his group can purchase a nearby building. "What we are advocating for is to buy a center," Noor said. "It's going to include $2 million just to buy the center, and if we don't include that in the whole package, we will not be able to make a difference." Noor said if he secures money from the pilot program, he'll have to fight suspicions from other Somali-Americans that it's just a guise for law enforcement to spy on the community. But he said he wants to sit at the table, helping to find solutions. In Washington, Luger and Somali-American community leaders are hoping for a slice of the $15 million that President Barack Obama has budgeted for the Department of Justice to support community-led efforts to fight radicalization. On Tuesday, the Minnesota delegation talked to Vice President Joe Biden about the work they've done to engage young people. Luger said their stories seemed to impress Biden. "It was quite moving listening to all these community members explain what we together need in Minnesota to combat recruiting," Luger said. "And the vice president listened very carefully and took notes." Luger said concerns about his role are overstated. He said the funding would go through foundations and government agencies, like local parks and recreation boards. 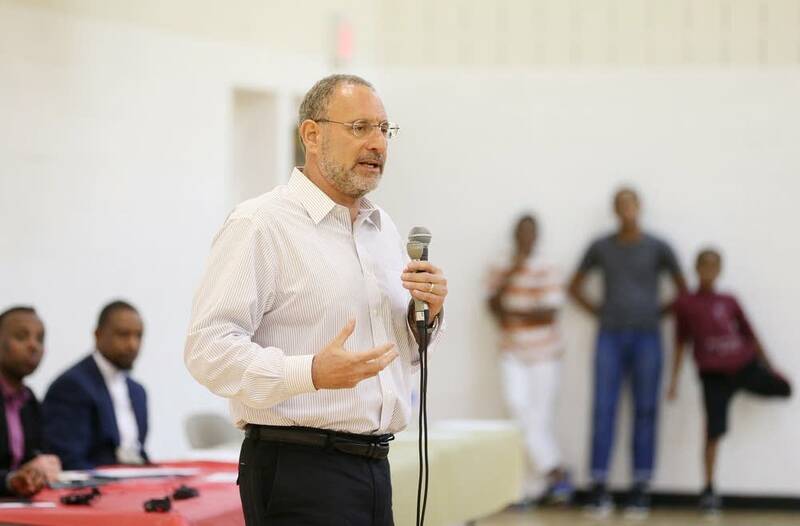 Local organizations, largely within the Somali-American community, would be doing much of the work, he said. "The community described what this program should be to me, and built it with me," he said. Today at the White House, Abdisalam Adam, an imam from Minneapolis, is expected recite a passage from the Quran before hundreds of officials who are eager to hear about the work being done in Minneapolis to counter violent extremism. Adam said if the program is done right, it could make the Somali community stronger. "There's a sense of caution," he said, "but we want to give it a chance." MPR News' Sasha Aslanian contributed to this report.